A simple design with a powerful message! 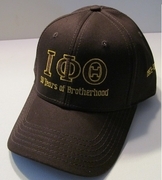 1963-2013 embroidered on the left side of this twill cap. It features a Velcro closure for an adjustable fit.